Let's take a moment to see what has transpired in the world of Rebelle. We are thrilled to announce two new designations added to the Rebelle Rally for a total of 3. So what is a special designation? These are not classes that present opportunities for countless "winners" but a serious dose of respect and recognition with some good perks to go along with the props. With so much interest from across the globe, we could not be more thrilled women from so far away want to join the Rebelle! Given the logistics for anyone to compete in the rally from outside the U.S., from cultural differences to time zones to languages, additional costs and overall added stress/exhaustion, we'd like to show our appreciation to those coming all the way to the U.S. on a 2017 Rebelle mission - hence the first Rebelle Rally International Cup! International teams will bear a special designation on their competition vests, and the highest scoring team in the designation will receive $2,500 to the charity of their choice, have their name live on the "Prize Cup," plus receive a special plaque. The new 4030 designation (pronounced forty-thirty) pays homage to those vehicles 40 years and older competing in the Rebelle, because calling these cars and trucks "vintage" or classic" just doesn't do them justice. The stories these vehicles could tell and the sites they have seen deserve some serious props as they compete in the Rebelle, along with the women behind the dash. 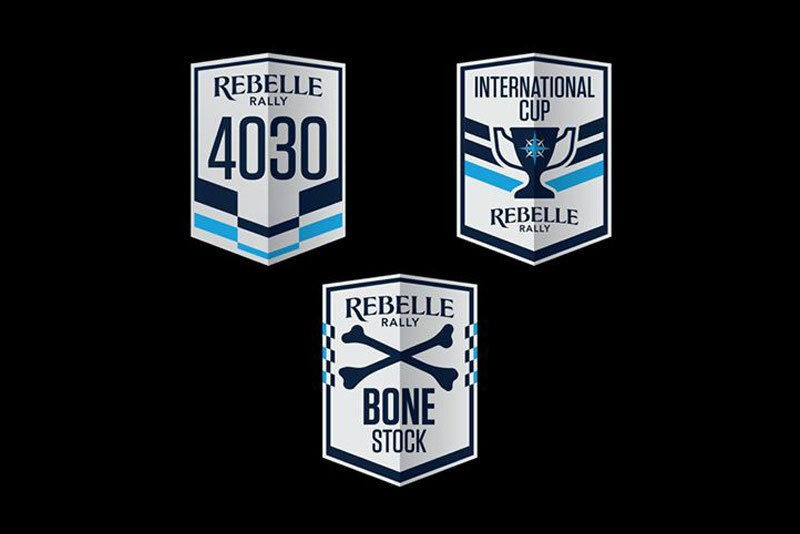 That said, each team in this designation will receive a special, coveted Rebelle Rally 4030 jacket along with special merchandise! And since 40 is the new 30, we encourage women to take another look at their trusty, more "distinguished" vehicles - they're not 40, they're 18 with 22 years of experience. The Bone Stock class is back, and a fundamental cornerstone to Rebelle values. It's a designation that honors those drivers who chose to pilot a stock, unmodified OEM manufacturer vehicle. That means no upgraded suspension, no aftermarket reinforced parts. Just a dependable, durable vehicle and smart driving skills. The highest scoring "Bone Stock" team will receive a plaque, AND the OEM manufacturer will receive a trophy in the name of the Rebelle and the team that piloted it to the finish. Last year, RAM took home the trophy and now proudly displays the victory for building tough trucks! We're changing things up a bit this year, and couldn't be more excited to start our competition off in gorgeous Squaw Valley. And because we like start AND finish in style, our much-anticipated celebratory awards party for Rebelles, friends, family, media, and V.I.P. will be held on October 21st in San Diego along the breathtaking bay views of Coasterra Restaurant! Known for spectacular skyline scenery, Coasterra is the newest, exclusive waterfront venue for us to kick up our heels in style. Starting off the evening with our awards ceremony, we will partake in creative cocktails, enjoy modern, gourmet Mexican fare, get a closer view of the week, and cap it all off with music and dancing while celebrating the women that stepped out of their comfort zones and pushed themselves to conquer the Rebelle. Private ticket sales for Rebelle guests, friends and family will be available online this summer online in the Competitor Zone. Our host hotel is the Sheraton San Diego Hotel & Marina. Located just down the street from Coasterra, we chose this hotel for a reason - it's a one stop shop! Relax at the spa, lounge at the pool or learn how to paddle board all in one central location. Each team receives a room as a part of registration. Special pricing available soon in the Competitor Zone for Rebelle friends and family, and Rebelles who would like to stay over one extra day for that much-needed R&R after eight days of serious dirt! Registration is currently open with a final deadline of September 10th, or until the rally is full. Remember, if you are able to register and pay in full for your team by April 30th, competition fuel is complimentary on days 1-7 at basecamp! (An additional stop at an approved fuel station is incurred at a team's cost.) Sometimes later becomes never, so if you've been thinking of joining the Rebelle, the best time to start is now! Spots are filling up fast!